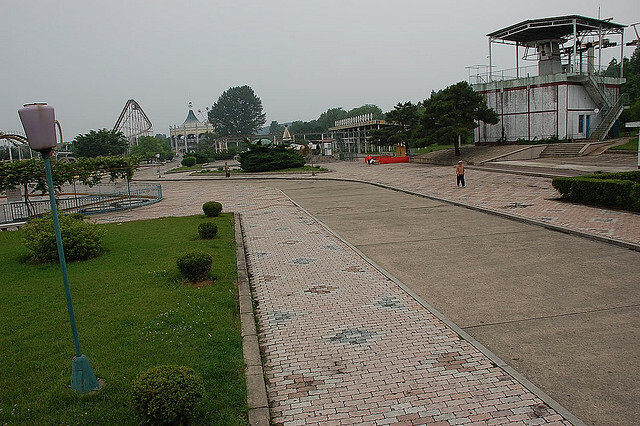 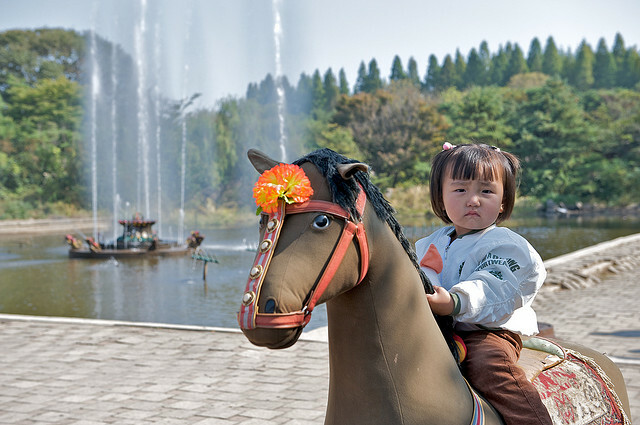 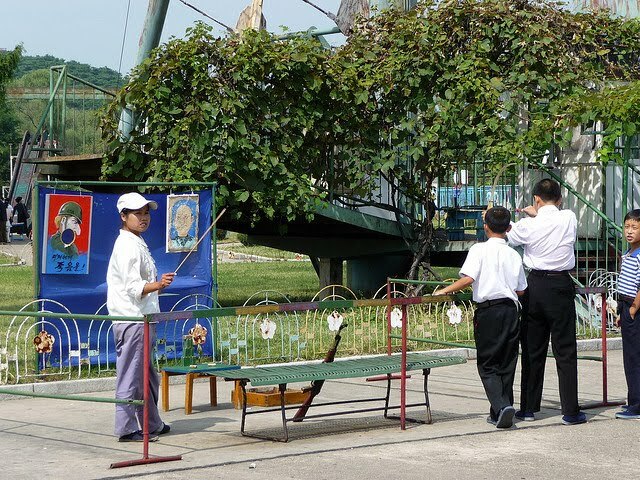 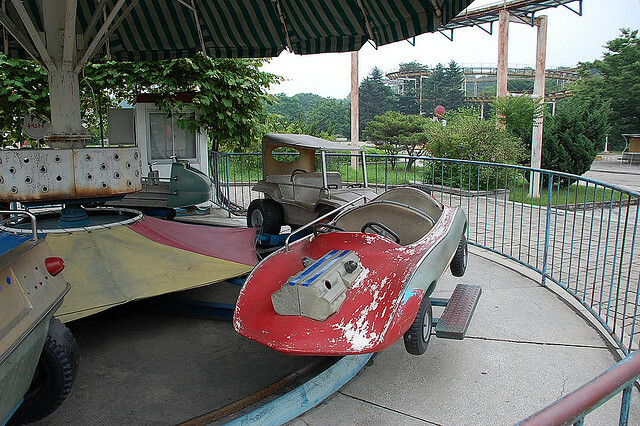 This fairly depressing photo series of Manyongdae Funfair, North Korea's version of the Happiest Place On Earth, has just been released. 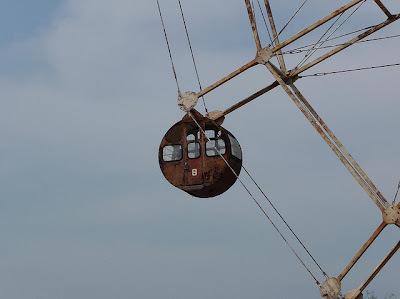 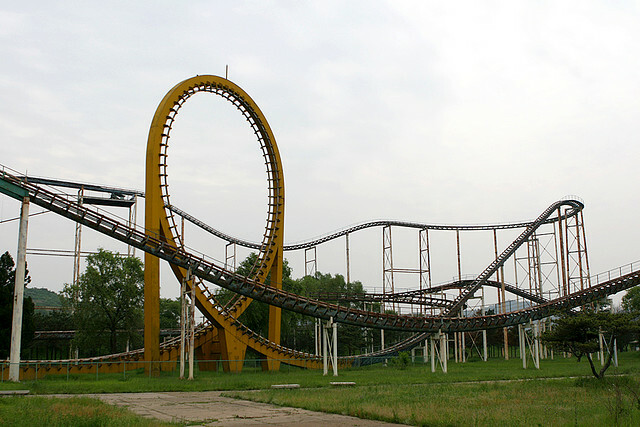 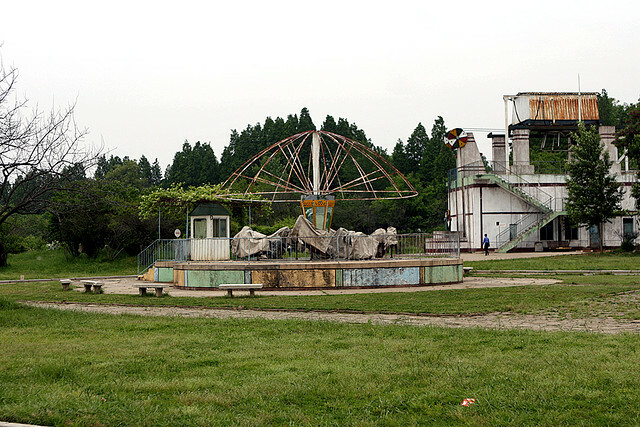 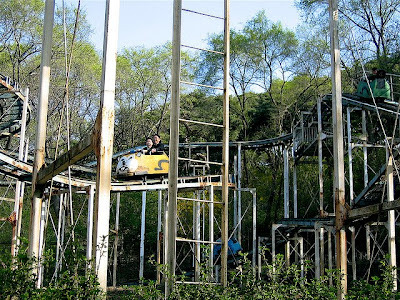 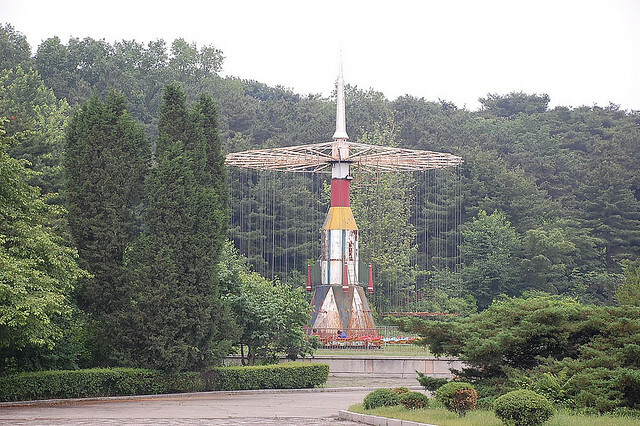 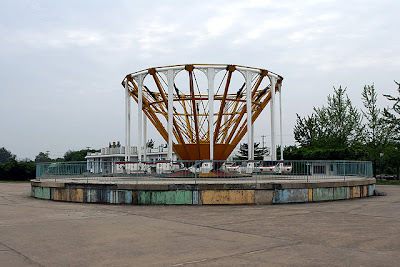 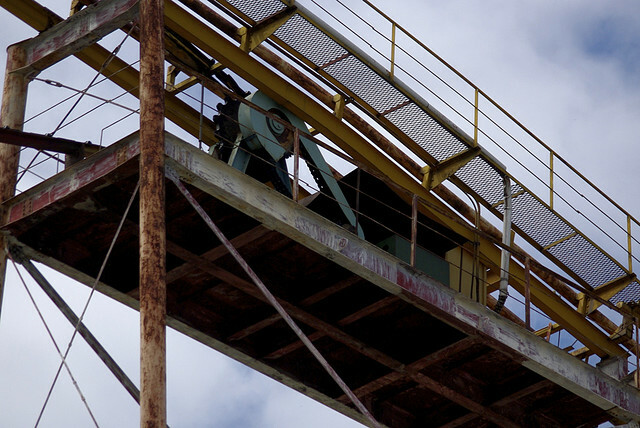 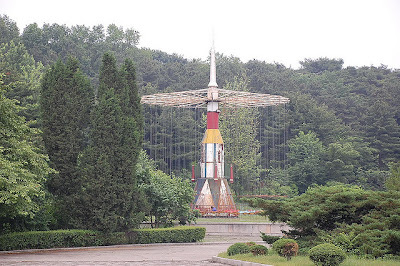 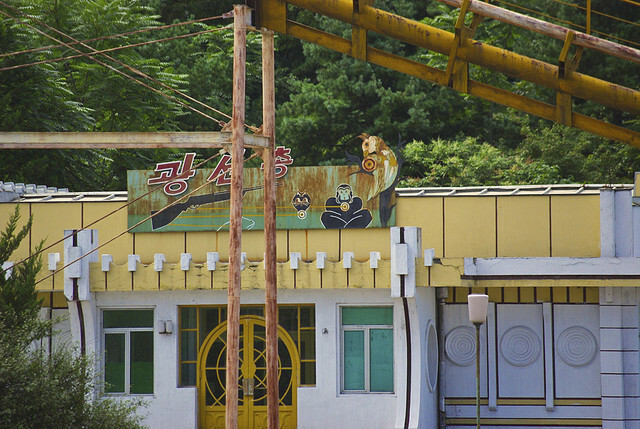 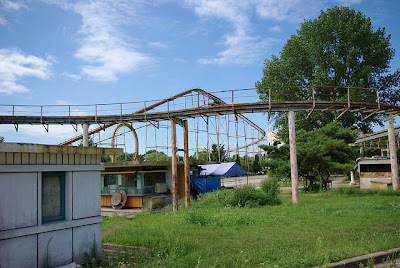 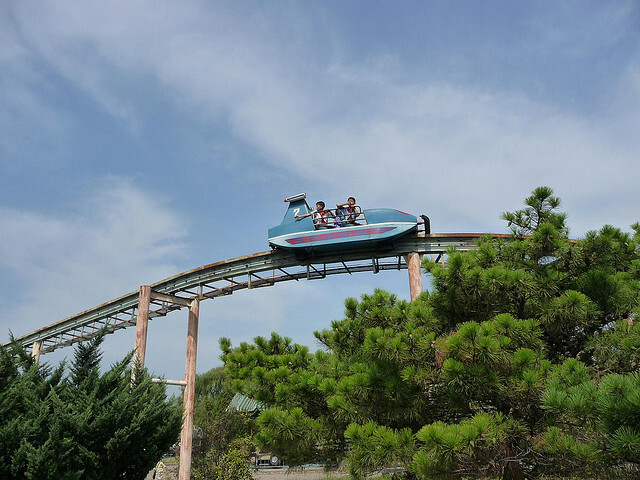 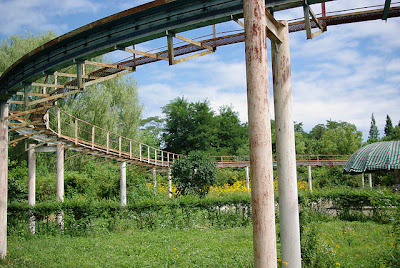 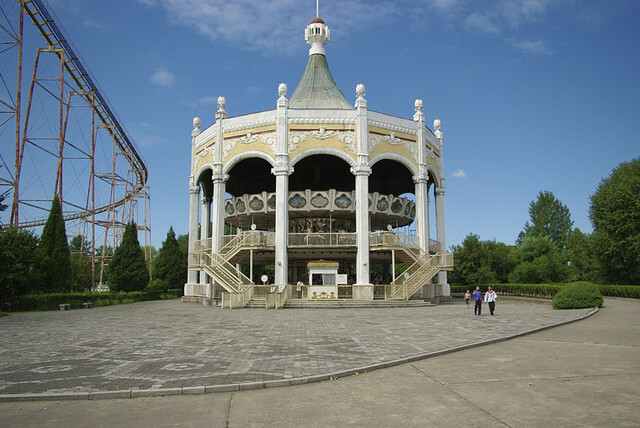 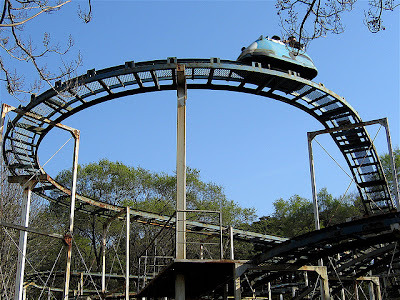 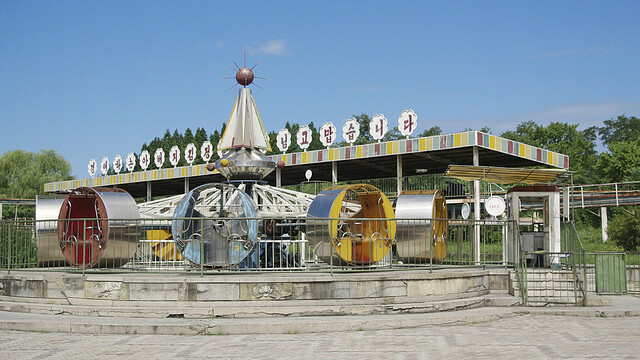 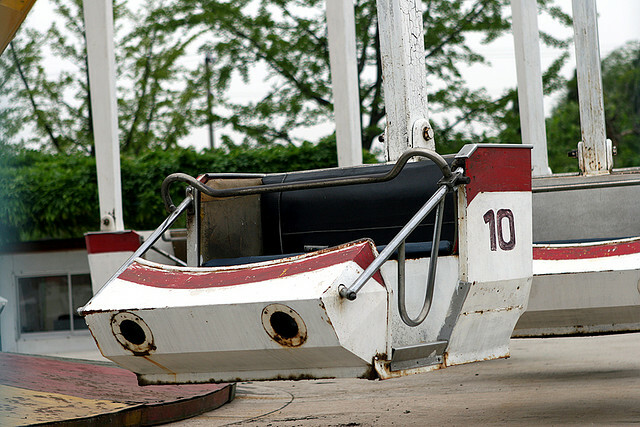 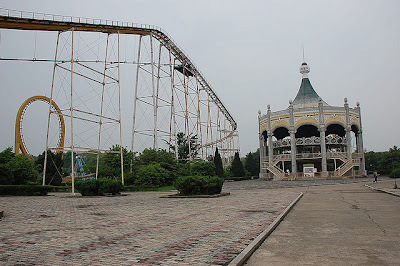 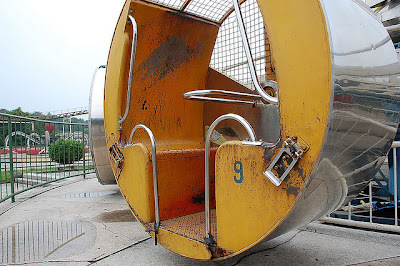 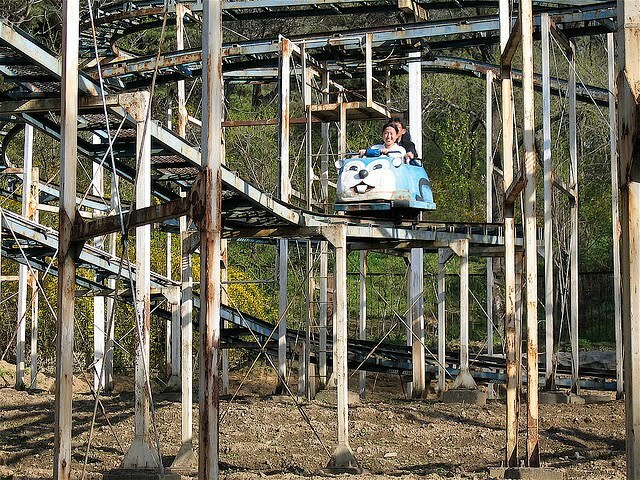 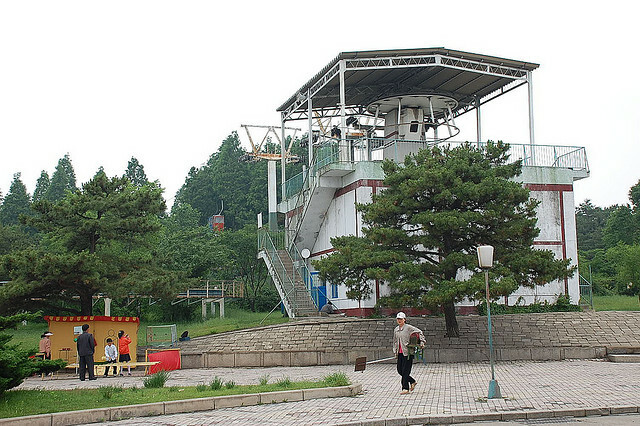 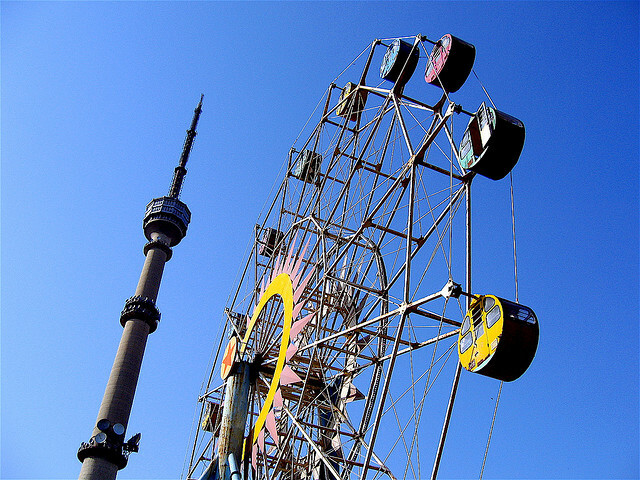 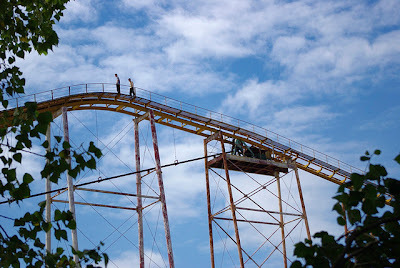 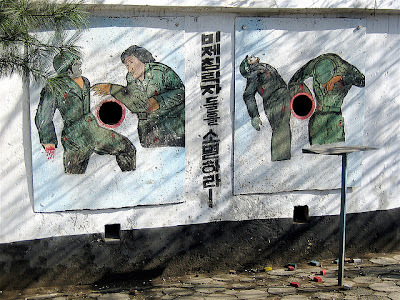 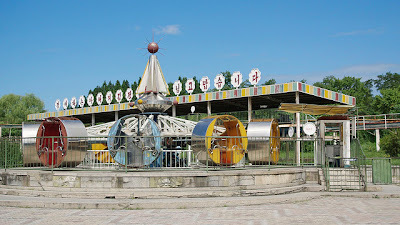 The amusement park, located a few kilometres north of Pyongyang, is the last theme park in the dictatorship, which isn't totally surprising given the dilapidated and dangerous rides on display. 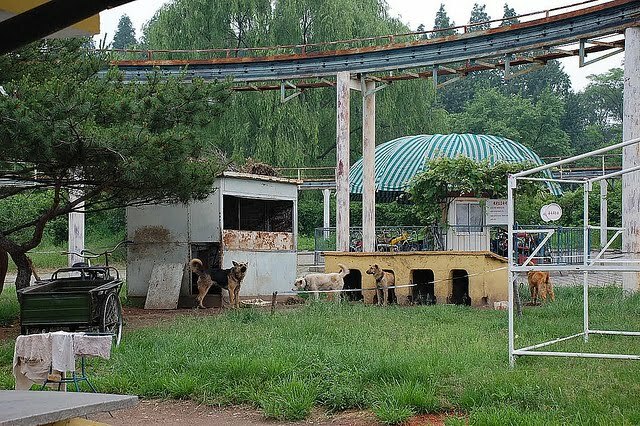 The best thing about this is that the Mangyongdae park tests its attractions on local farmers before allowing foreign visitors to try them out. When they do get foreign visitors, said foreigners have to call a couple of days in advance so park authorities can bus locals in and make the place look busy.